Maybe you can use both. Use the ‘nice’ one when you first summon (is that the proper word for it?) the Lightwell. Use the next one 10 seconds later when everyone’s dying and avoiding it like the plague. At least you don’t need to target it anymore, that’s a big improvement. 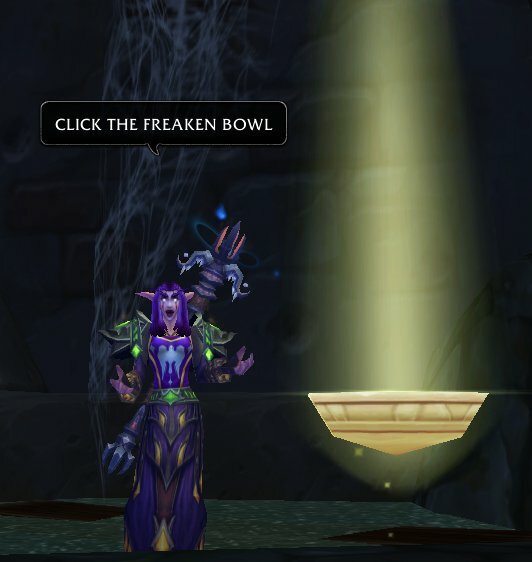 In 2 years of raiding I learned that no summoning macro will get people to click the soulwell or Warlock TV Box portal if nobody’s paying attention to chat (which, in a raid with Vent, a lot of the time nobody is). Sure, some people laughed the first few times I have a funny macro, but then they all go back to not paying attention text-wise. 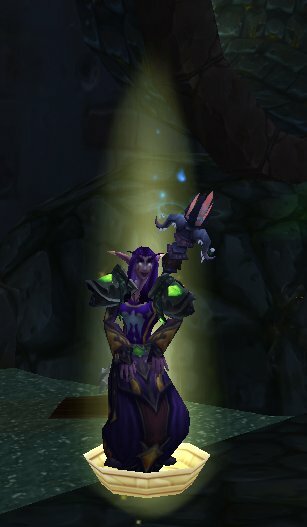 So I starting dropping the portal right on top of / in people’s toons’ faces. It’s amazing how quickly you can get a soulwell up when you drop the portal on the tanks and melee. 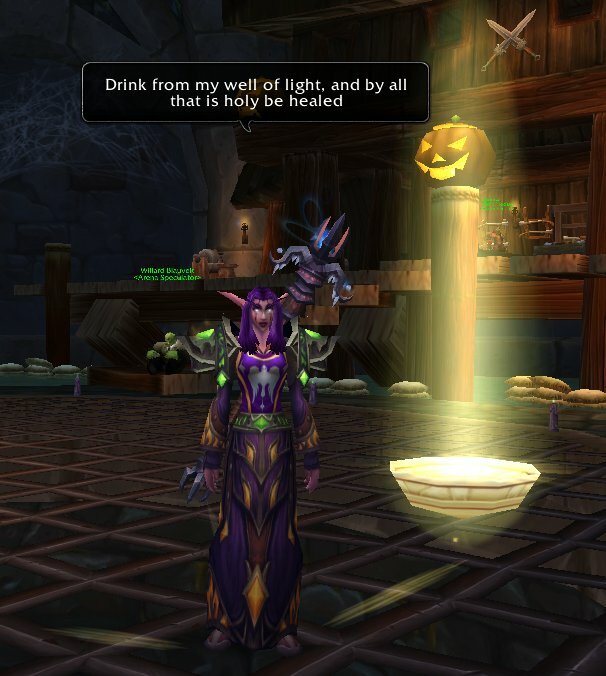 🙂 Or, sometimes I can get it so it pops up on the Fish Feast, but then I turn my toon while casting so the actual well/portal doesn’t land on it. So my suggestion to holy priests out there is that if you want us to click it in combat, don’t put it way over to the side. Put it smack in the middle somewhere. You put it inches next to the tanks for their use, so why would putting it on the perimeter make sense for dps to use it? 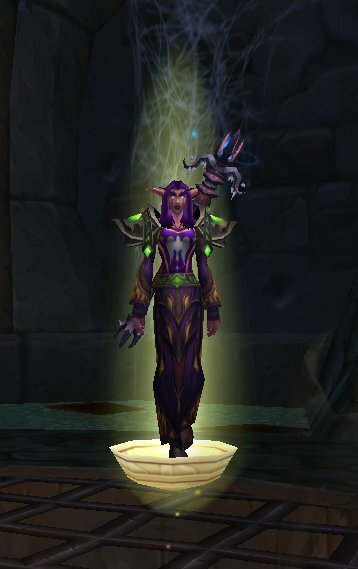 Both dancing and preening are important for female priests to land the right kind of druid in this day and age. Interesting. I wonder if I have been doing the same thing to myelsf. On the one hand, I feel good if I can look back at the end of the day and say, Well, I wrote thus-and-such many words. On the other hand, it’s not always just about word count. Dance a little more naked on it, and I’ll click on it hard and fast, for at least a solid 2 minutes. Then I’ll take a nap. :O I never realised you could STAND on it! Maybe I’ll have to try speccing holy one day. Levitate 🙂 Next time you see someone elses bowl you could levitate and stand on it. If People can sit on fishfeasts then we can put our feet in bowls. Edward “Twit” Hall III, really? The wninihg, blubbering youtube video sensation/trust fund baby himself? Damn, I would pay to see that (if I lived anywhere near NYC)!